“Your Money with David Hays” began in January 2002 as a live, local show for investment and financial information. Today, the show has expanded into 60 minutes of interactive news, market reports, and education. Joined regularly by the team members from CFCI, Your Money is a program dedicated to educating and helping the citizens of Bloomington and Monroe County. If you miss a show, you may visit Your Money online to download a show or listen for free. Every Thursday evening, 6:00 p.m. If you would like more information about a show (including copies of past shows), or have general questions, please email us at [email protected] or call 812-334-3190. Are you thinking about retiring in the next few years or already are? 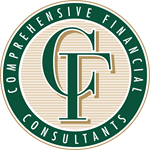 Our financial consultants David Hays and Doug Hughes designed a resource guide for you! Today's Guide to Retirement Planning is the culmination of our nearly 40 years of experience working with retirees and pre-retirees. Rather than a "do it yourself guide,” David and Doug wrote the book to help empower your planning conversations with your financial professional as a resource to better equip you with the important topics you need to address. Order the book from Amazon or other preferred local and online retailer.